What NOT getting into Head Stand is teaching me. For some obscure reason one pose that I seem to have placed an immense amount of focus on throughout my very new “Yoga Journey” (I have been practicing now for 1 year) is Head Stand- Sirsasana. To me this pose represents strength. 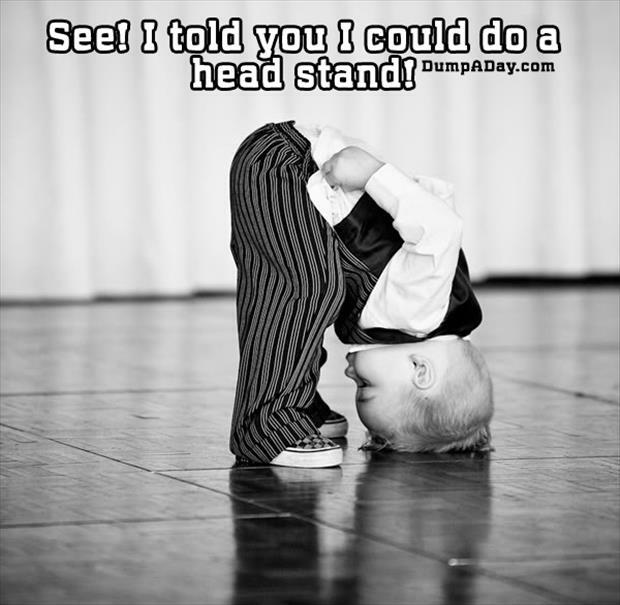 Headstand is also often referred to as the King of poses. The reason for this is not in fact as I had initially believed because of how advanced a pose it is, but rather because of its many health benefits as well as increasing the more masculine qualities of willpower, sharpness of the brain and clarity of thought. From placing such importance on this pose I have naturally also created fear around getting into them. If this is THE important pose then me not getting into them makes me “bad” at yoga, or to be a bit more dramatic- a failure. I don’t like to fail- I am very determined and want to do things properly otherwise why bother doing them at all. Right? Well – not exactly. Not getting into Head Stand over the course of the past two weeks whilst seeing my peers easily flip into it as if they were simply bending over to touch their toes was extremely confronting. I tried, and tried again, pushing and sweating and jerking- cursing my weak shoulders for letting me down, cursing my big bum for not allowing me to effortlessly pull up. Finally in week 1 on day 4 after trying and failing and trying and failing I lay down in Savasana- mind racing and I suddenly thought- what am I doing- I am obsessing over getting into this pose and comparing myself to others. I am not seeing how much stronger I am today than I was yesterday and allowing myself to feel grateful for that – rather I am beating myself up for being weak and incapable. After Savasana ended I burst into tears and had a good hearty cry. I needed that cry- it was like a burst of energy that came rushing out and I was able to acknowledge how I felt and really look at it. I have heard that by looking at how your practice Asana you can better understand your personality and catch glimpses of your Ego and your true Self. This frustration became an opportunity for me to practice Svadhyaya- the yogic principle of Study of the self. I was able to use this ASANA as a much needed mirror in which to discover something important about my SELF, my EGO and my BUDDHI. In my moment of disparity there was a glimpse of my true self that I saw and I was okay. It was only day four. I would eventually get into the pose, and I understood in that brief moment, the pose was not what mattered. So what are some things I have learned on my way in my struggle to Head Stand? Calmness. Practicing Head Stand which I would truthfully rather just ignore is teaching me to remain calm in the face of challenge and not allow anger and frustration to set in. It has given me the space to study how I deal with difficulty; I have gained awareness that will assist me with other areas in my life. Patience. I tend to be impatient- in Asana and in life, I want it and I want it now. I often rush things and for what, for who? Why not take my time and do it slowly! I really have my whole life to do this pose so I am trying to shift the focus onto other things, like feeling my belly engage, slowly walking my legs up and aligning my hips over my head, lifting only one foot up off the floor, and breathing. Where my weak spots in my body are. Not being able to do a pose can indicate weakness in the body which is often overlooked when it is easy to do a pose. I have weak shoulders- deltoids, trapezius and rhomboids I also need to work on strengthening the biceps and triceps for arm strength and I need to think about the deeper muscle serratis anterior. I can specifically address my physical imbalances; I can now build strength and flexibility in exactly the places that need it most. To laugh at myself- let’s be honest to be so upset that you cry from not getting up into a headstand is pretty funny. It needs to be laughed at and this whole business of getting into postures cannot be taken too seriously. The key is being there and doing it and being able to laugh a bit at our idiosyncrasies on the way. Learning to pull back– because I am a disciplined person by nature- sometimes I need to remember it’s okay to not push so hard, it’s okay to say my body has had enough for today, and it’s okay to say no.